about the GoT Direwolves Tour! "Most Game of Thrones fans do not know that they can meet Stark Direwolves..."
"... the celebri-dogs still attract lots of excited Throneheads from as far afield as Australia each day..."
"George R. R. Martin may be known for killing off all our darlings, but in reality, HBO's Game of Thrones has actually saved one Irish farmer whose business was on the verge of collapse..."
"And here’s the actual best bit - because not only will visitors be able to meet Grey Wind and Summer AKA two of the Stark Direwolves..."
"As well as the chance to meet two of the original Stark family direwolves - Grey Wind and Summer..."
"William Mulhall, from Co Down, said his dogs have met about 400,000 people in the last four years as a result of their roles as Summer and Grey Wind in Game of Thrones." "Marie-Louise battles white walkers and dragons in a trip to Winterfell (aka Castle Ward)." "Thor and Odin, who played Summer and Grey Wind in the series, have fans travelling from far and wide just for a chance to meet them..."
"Stand on the spot where Lannisters schemed, stroll in the footsteps of the Starks! " "[GoT Direwolves] Tours offer cycling, boat tours and the opportunity to meet direwolves on the estate. You can also don Game of Thrones-style costumes and learn archery skills directly from extras off the show..."
"Hello Reddit! Remember those cute little Direwolf pups from season one? Well I'm Will Mulhall the owner of the two original Direwolves that played Summer and Greywind as pups!" "Then perhaps you'd like to try one of their Medieval Banquets or for animal lovers, you can meet Odin and Thor, the actual Direwolves that featured in the show (they're actually very friendly Northern Inuit dogs)." "The tour might be tailored for diehard fans, but there’s enough for new viewers, especially as the day is peppered with pop quizzes on show trivia, planting the seed that maybe you should start re-watching from the beginning to catch everything you missed the first time around." "From iron-age pigs to Northern Inuit dog, the Game of Thrones series has looked to Northern Ireland for its animal stars." "The HBO programme made rare breeds Odin and Thor so successful and in demand that they’ve even hired their own agent!" "Odin and Thor have fans of the hit TV show travelling from far and wide just for a chance to meet them." 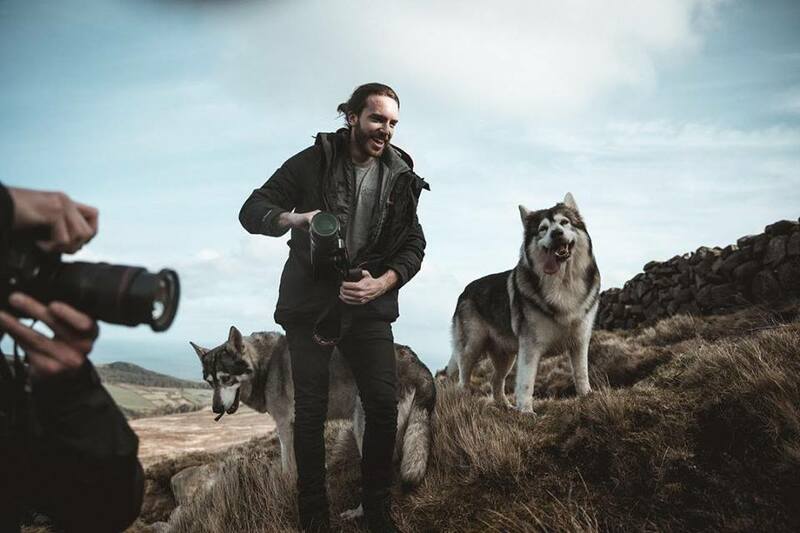 "“Kit Harrington (GoT’s Jon Snow) really likes them a lot and the last time he saw Ross he said to hug them for him because he missed them,” William Mulhall, who runs Direwolf Tours with his brothers, Ross and Caelan, and dad William Sr, told Sunday Life." "Running around a ruin, dressed in a cloak and swinging a sword is just one of the attractions of a Game of Thrones tour in Northern Ireland, writes Alan Yu. Pictures by Channing Brown."